Supervisors may expedite and formalize a change in supervisor by completing a Change in Supervisor form and preparing a letter to the employee. Please log into HR Self Service and review your campus address for accuracy. In the event of an emergency, it is important that your campus address is accurate so you can be timely notified. If you need to update your campus address, State-paid employees may update it via SUNY HR Self Service OR Directory Add/Update Form (online or MS Word). If a department has multiple employee updates, please e-mail Lori Barry with a list.  Buffalo State will perform pre-employment background checks on final applicants prior to all new appointments (part-time and full-time) for faculty, professional staff, classified staff and graduate assistants. Any verbal or written employment offer extended to an applicant is subject to a pre-employment background investigation. Who do I contact for ...?